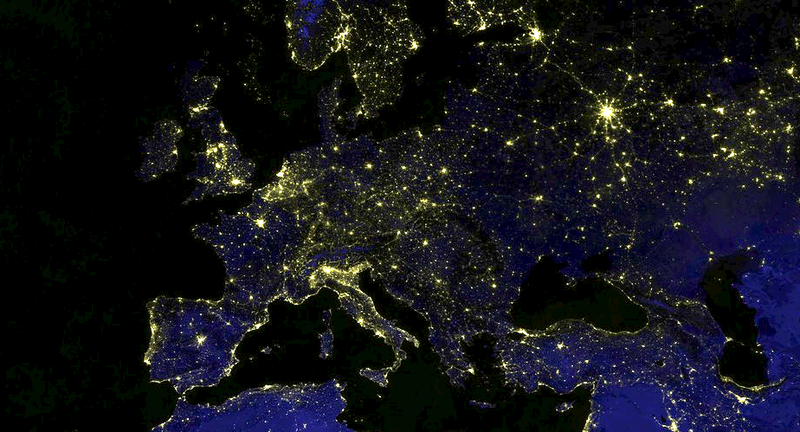 A view of Europe at night, seen by the Visible Infrared Imaging Radiometer Suite aboard the Suomi NPP satellite. 2017 composite image courtesy of the U.S. National Geophysical Data Center’s Earth Observing Group. Previous research has shown that night shift work can disrupt circadian rhythms and is probably carcinogenic. To control for this relationship, the researchers in this study excluded subjects who had ever worked night-shift schedules. The study concluded, “Both prostate and breast cancer were associated with high estimated exposure to outdoor ALAN in the blue-enriched light spectrum.” Compared to the control group, participants exposed to higher levels of blue light had 1.5-times higher risk of developing breast cancer and 2-times higher risk of developing prostate cancer. With a worldwide increase in light pollution, it is becoming more important to understand how exposure to ALAN affects biological processes and disease risks. Scientists are just beginning to investigate the connections between ALAN, circadian rhythm disruption, hormone production, and rates of certain hormone-dependent cancers. This recent study concludes, “Exposure to ALAN is ubiquitous and whether the spread of exposure to ALAN may increase cancer risk and how this could be prevented are public health issues.” The authors recommend further studies using techniques for collecting individual data and involving younger people using electronic devices with blue light-emitting screens.